Performers include: David Mann, Tamela Mann, Jo Marie Payton, Tony Rock, Tiny Lister, Steven Walsh Jr., Lauryn Kennedy Hardy, Amir O’Neil, Jadah Marie, and Vivica A. Fox. 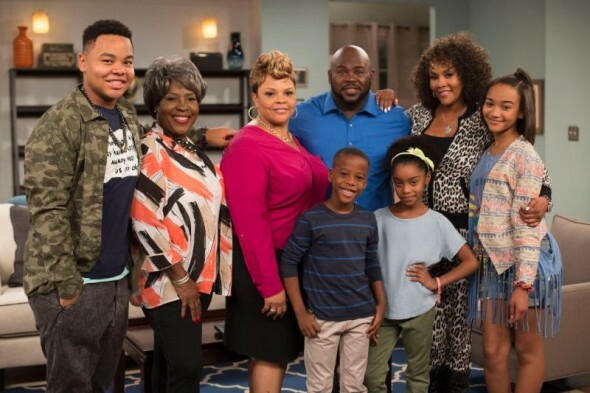 This comedy series stars and is executive produced by real-life married couple David and Tamela Mann. Daniel (David Mann) and Toni (Tamela Mann) fall in love after meeting on a dating site. Living in Atlanta, Daniel is a police officer and Toni a school teacher. They get married and move into Daniel’s home in the Atlanta suburbs. However, it’s not just the newlyweds who have to adjust to their new life together. They each have two children from previous marriages. Daniel has two boys, D.J. (Steven Walsh, Jr) and Darren (Amir O’Neil), and Toni has two girls, Terri (Lauryn Kennedy Hardy) and Tosha (Jadah Marie). This new family must learn to get along and live together. Other characters include Daniel’s feisty mother, former schoolteacher Lorraine Mann (Jo Marie Payton), who lives with the family; Daniel’s ex-wife, Michelle (Vivica A. Fox); Daniel’s new partner on the force, Michael Hobbs (Tony Rock); and their police lieutenant and boss (Tiny Lister). What do you think? Do you like the Mann & Wife TV show? Do you think it should be cancelled or renewed for another season?